I wanted to make a special project that showed off these beautiful blue colors from The Songbird’s Secret. 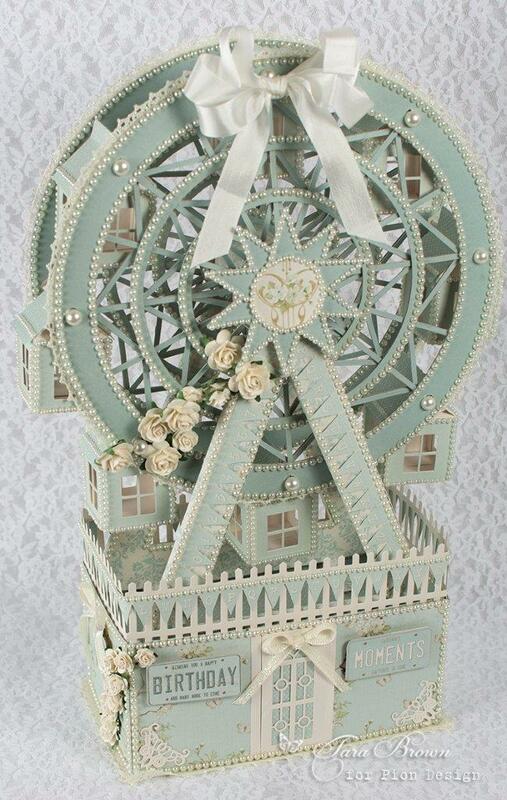 All the little pieces of the Ferris wheel were cut by hand and put together to resemble a real one. The platform the Ferris wheel is resting on is a box. These blue papers are so refreshing, delicate, and gorgeous making them a definite must for paper crafting!. Waw This is amazing really beautiful ! Yet again a gorgeous creation from your hand.